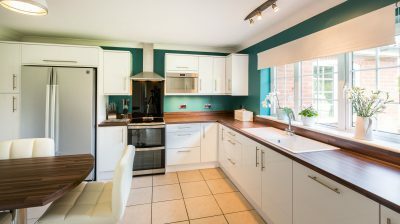 Many families spend most of their time in the kitchen, so follow these tips to make it the heart of your home this autumn. 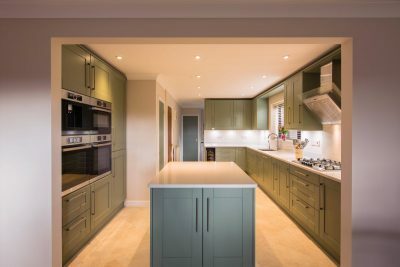 Kitchen colours are changing and softer colours are popular for everything from cabinets to splashbacks. Charcoal greys and neutral pastels like pale blue, pale green and tinted whites are the new alternative to the standard white. Bold primary colours are on the back burner for now. Instead, interior designers are using Farrow & Ball type colours as accents. Get ready for a hi-tech makeover. More kitchens will have designated spots for smart devices next year. Plan areas with hidden charging stations to store your devices so that they are always at hand and charged. The 2016 kitchen focuses on convenience for families on-the-go with accessible smart appliances like steam ovens, built-in coffee machines and wine coolers. This year, metal will assume a more dominant role in kitchen aesthetics and trump wood as the range hood of choice. If you’re planning to decorate with neutral colour tones, a metal hood can introduce a burst of contrast into your kitchen. We are seeing more streamlined kitchen designs in which the kitchen converges with the living space. Designers are merging kitchens and living rooms by including hidden and integrated appliances. Homeowners won’t just settle for just ceiling lights and table lamps to illuminate their kitchens. Designers say extensive low-voltage lighting is a trend to watch because it allows the homeowner to set the mood in their kitchen. With thanks to Gareth Pendleton from Norwich Bathroom & Kitchens.